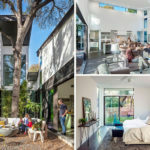 Furman + Keil Architects designed the renovation and an addition to a house in Austin, Texas, that was originally a 1980’s suburban brick home. 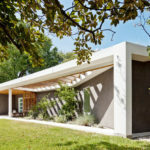 The remodel and addition retained the core of the original structure, but the architects simplified the house by removing extraneous gables and appendages. 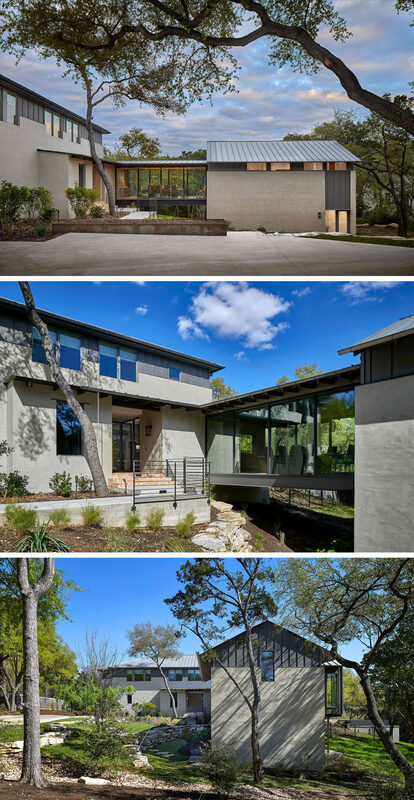 On the exterior, stucco covers the old brick, retaining the thickness of the masonry and providing a blank canvas for capturing shadows and light. 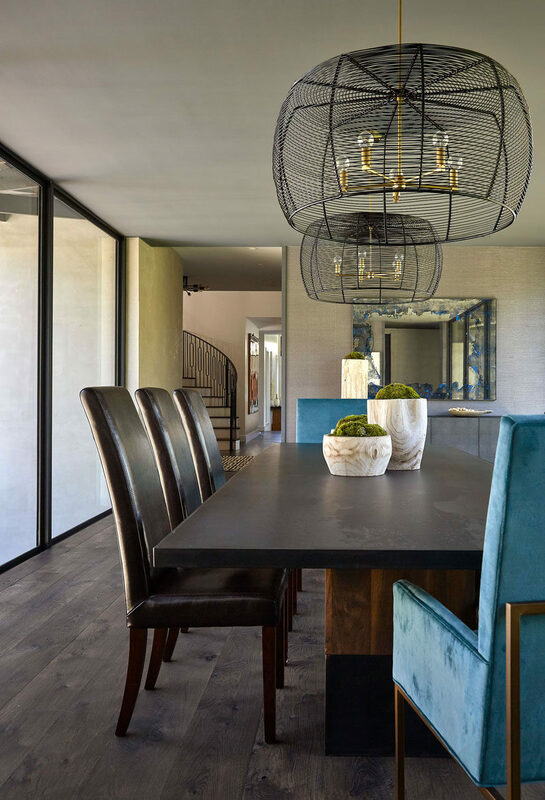 The updated interior of the home now has white walls, walnut casework, and steel detailing, as well as slate and wood floors. 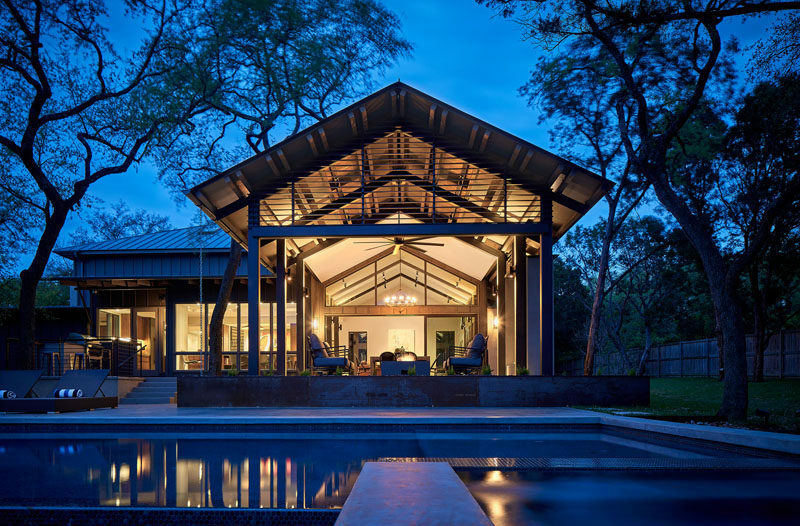 A large pivoting wood front door welcome visitors. 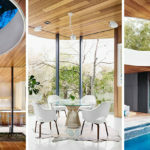 Further inside the house is the dining room, that’s located within a bridge with glass walls, and connects the various areas of the house. A curved staircase nearby retains the memory of the former design. 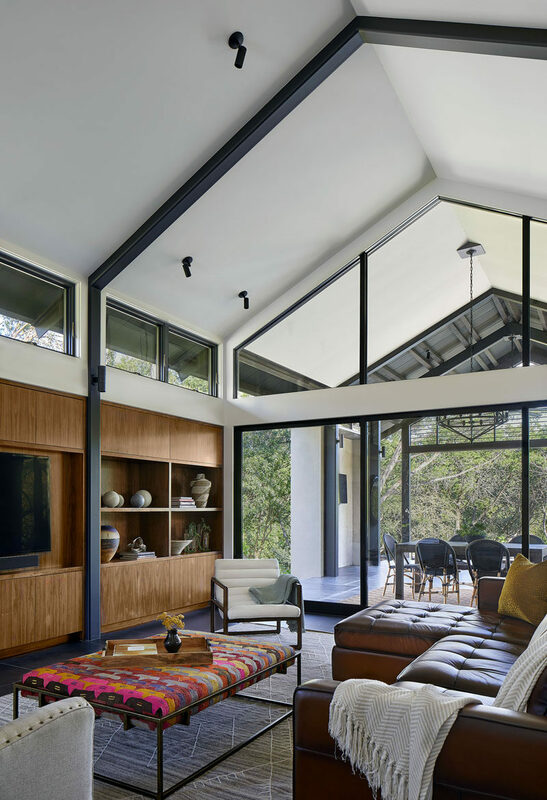 A light-filled living room with high ceilings and built-in cabinetry was added to the back of the house. 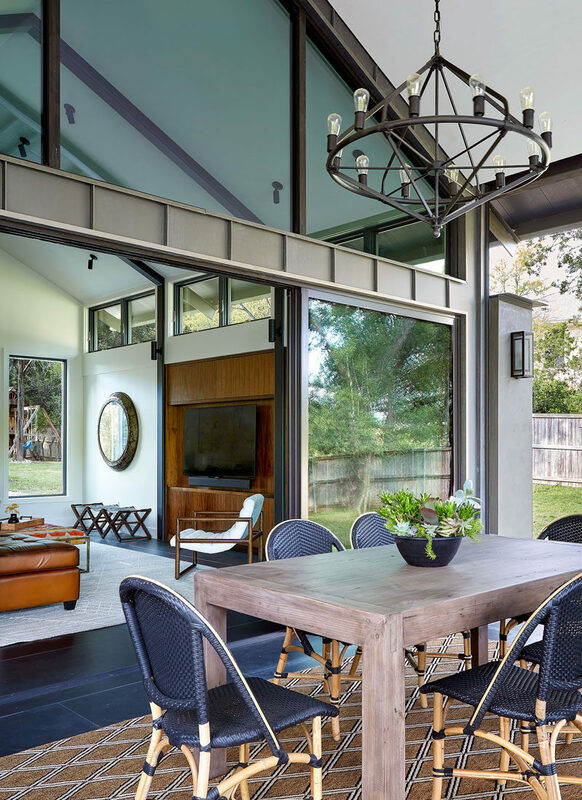 The living room opens to a new covered outdoor living space, that’s been furnished with an alfresco dining area. 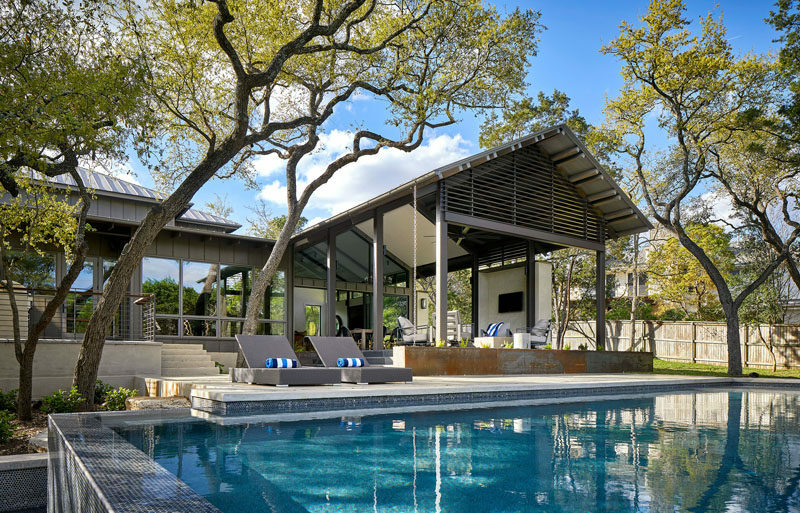 The outdoor living space leads down to a negative-edge pool with views into the woods. Back inside and behind the living room is the new kitchen. Skylights above the island help to keep the kitchen bright. 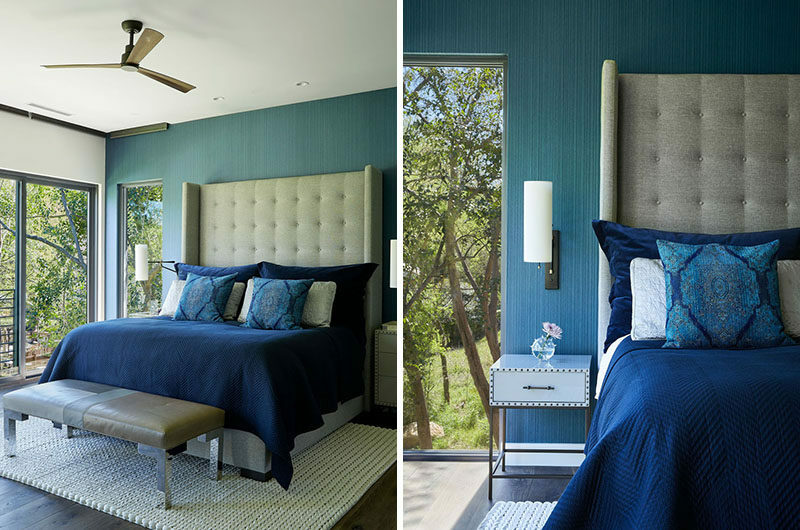 In the master bedroom, a blue accent wall creates a colorful backdrop for the bed, while the windows provide tree views. 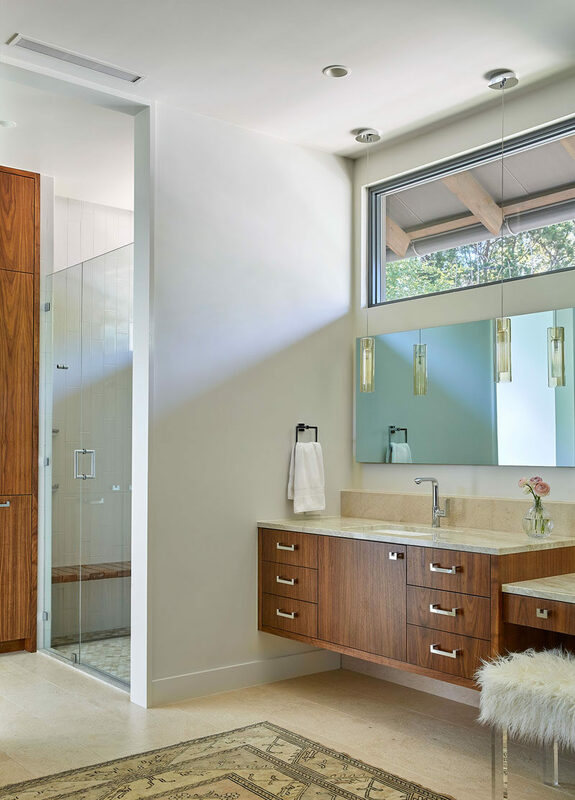 In the master bathroom, light colored walls and floors have been combined with wood cabinetry for a contemporary appearance. In another of the bedrooms, four beds have been built-in to the room, making use of the high ceiling. 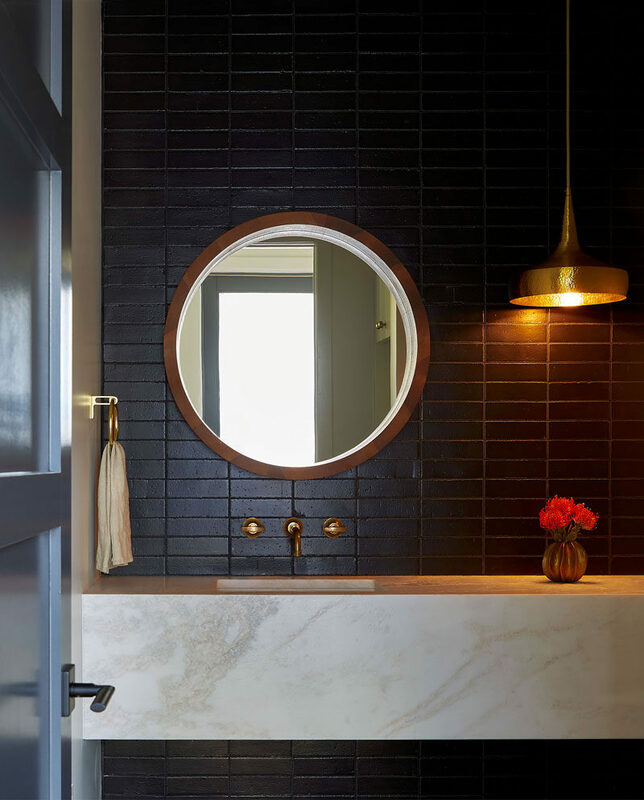 In this bathroom, dramatic dark subway tiles provide a strong contrast to the light-colored vanity and hanging pendant light.